Note on your calendar when your policy's new rate starts. Your health insurance is an important benefit for yourself and your family. You’ll want to be aware of when your coverage starts and the expiration date when making claims against your policy. 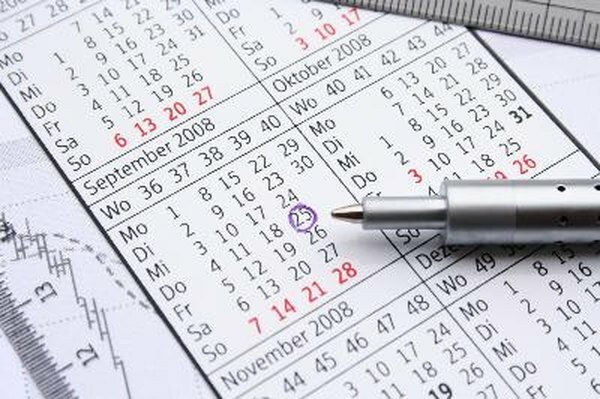 If a claim is filed outside of these dates, the insurer will not compensate you for the expense. To locate the expiration date on your Blue Cross Blue Shield PPO account, check your benefits booklet. If you don't have the booklet, you can contact customer service instead. Blue Cross Blue Shield (BCBS) is a national group of companies providing health care coverage to members in all 50 states, the District of Columbia and Puerto Rico. Coverage is provided through a number of independent BCBS companies located throughout the U.S. Federal employees are covered by BCBS under a separate health insurance program. A PPO (Preferred Provider Organization) is a type of health insurance plan. When you sign up for this type of coverage, you pay less for services obtained from hospitals, doctors and other medical service providers who are part of the plan’s network (the “preferred providers”). You can choose to visit out-of-network hospitals, doctors and health care providers if you wish. If you do so, you will be charged more for their services under your insurance plan. Once you enrol in a BCBS PPO health insurance policy, you’ll want to be sure to keep track of the policy expiration date for your insurance. There are multiple ways you can discover this important information. When you enrolled in your health insurance plan, you should have received a benefits booklet explaining how your plan works, which services are covered and how to file a claim. The booklet will also indicate the start and expiry date for the policy. Your company’s Human Resources or Benefits Department will be able to confirm the expiry date of your PPO health insurance plan if you are covered under an employer-sponsored plan. To get the information you need about the expiry date of your health insurance policy, be prepared to provide your group number ID and your member ID. You’ll find these numbers on the front of your BCBS insurance card. This is the one you need to show each time you receive medical services under your health insurance policy. To contact customer service with questions related to your health insurance policy expiry date, call the toll-free number on the back of your insurance card. A customer service representative will be able to tell you when your current coverage expires, as well as answer any other questions you have about your health insurance policy. You can also visit the BCBS website to find a local company to answer your questions. Once you land on the website, you will be directed to provide characters from the Identification Number from your insurance card to find a provider close to you. Blue Cross Massachusetts: What is PPO? Do Credit Cards Renew Automatically? How Do Permanent Cash Value Policies Work? What Are the Dow Jones Industrials?